Is that car smiling at me?! This morning, I was stopped at a stoplight on my way to work and I looked at the car ahead of me – and I laughed. 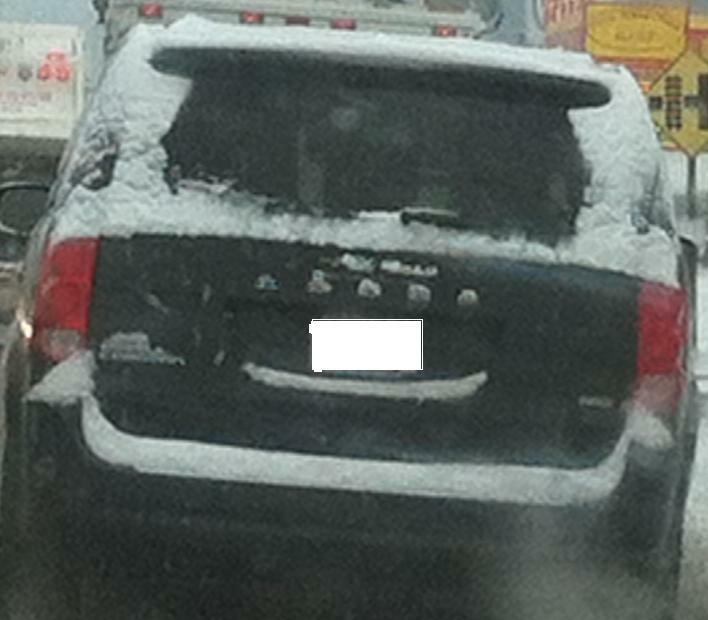 The car is smiling – the snow on its bumper is, at least. Most times, it’s hard to see the individual snowflakes amidst the snow pile. 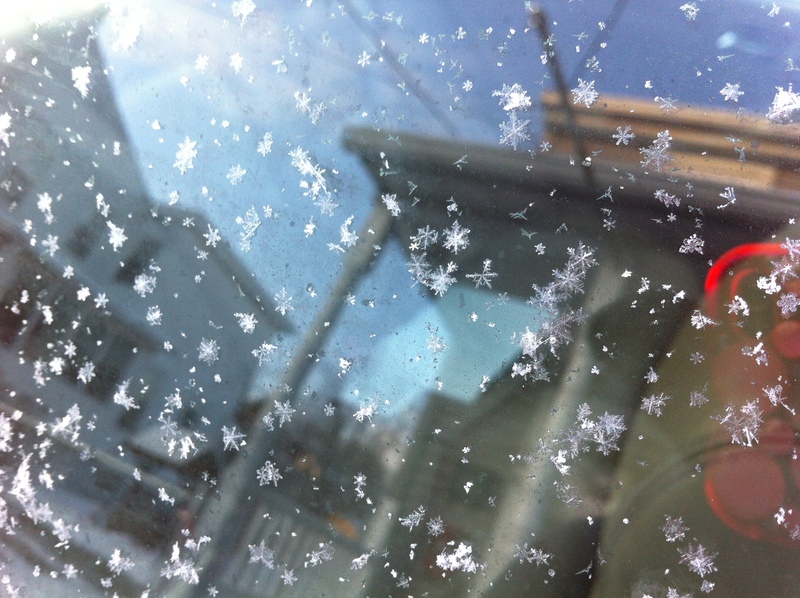 Snowflakes never seemed like individual things of beauty, but rather just part of a larger, mushy mess. But not this year so far. This year, it seems like the snow has gone from huge piles of mushy white snow to fluffy, individual flakes. I can actually see the individual patterns and lattice work that goes into each crystal. I have to admit, despite my hatred of snow that’s it’s very refreshing. It makes it a little nicer to start your day off seeing it. We got about 1.5 inches yesterday in the area, not too much, but enough to be messy and a pain. Do you have any snow photos? Send them in – awislock@dailyitem.com! The shutdown is over! Hurrah! That means (hopefully) we can move on to some other big news on our Facebook page – like some heroic window washers and high school football, though the government remains a hot topic. Finally, in a battle between salsa and ketchup, the winner was, undoubtedly, mustard. Check out our Facebook page to join the conversation! 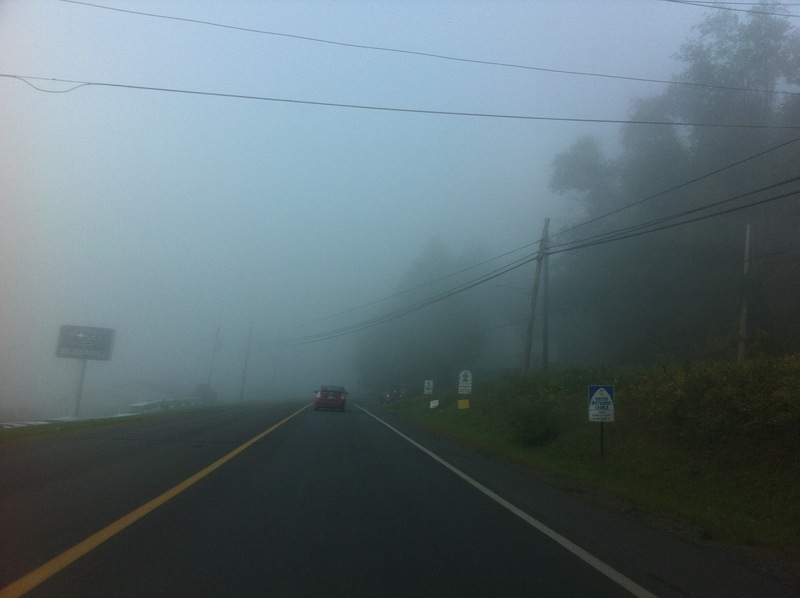 It’s that time of year again, Susquehanna Valley: the time of year it looks like a horror movie outside with fog so thick you can’t see too far ahead. Just in time for Halloween – a creepy atmosphere to start your day – muahahaha! The worst was crossing right over the river, where you couldn’t see the river surface at all, but obviously, for safety reasons, I could not take anything pictures there. This is just a friendly reminder to make sure you’re lights are on and drive carefully. I can’t believe how many cars I see on days like this that don’t have their lights on! It’s a simple way to stay visible, people! And watch out for any monsters that may be lurking in the fog. 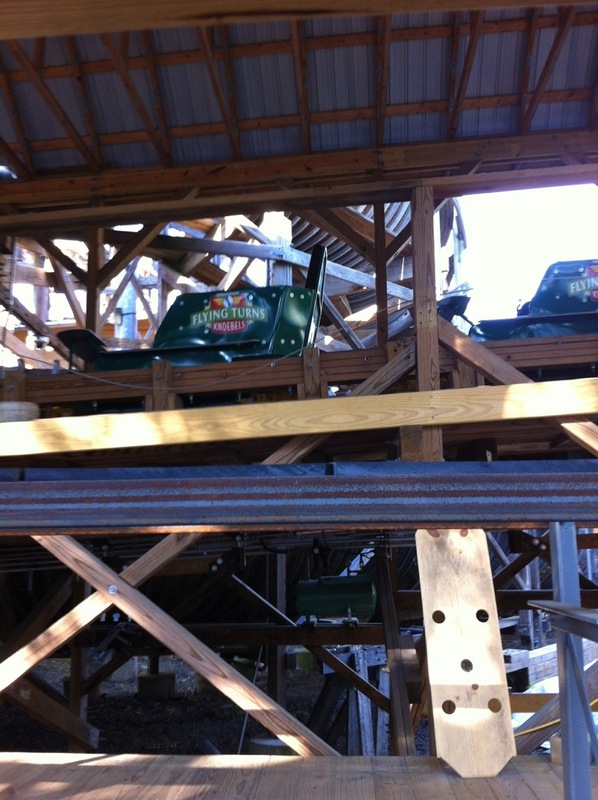 Yesterday, my fiance and I went to Knoebels to meet some friends who are back in town for a visit. We went to get dinner and ride a couple of rides, and our attention came to the Flying Turns, which I wrote and article about two weeks ago. 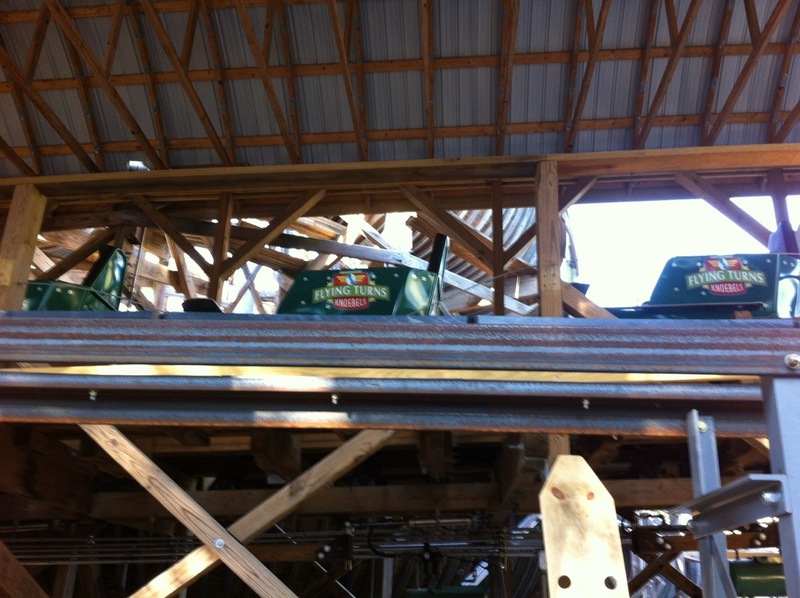 The cars that the park said could be the key to opening the ride were on the dock, and I took a couple of pictures to show the cool toboggan-style ride. When the Flying Turns opens, it’s probably going to be chaos for the first couple of months as everyone heads to ride them – but it really looks like it will be worth the wait. This ride will be the only one like it out there and I plan to enjoy it! 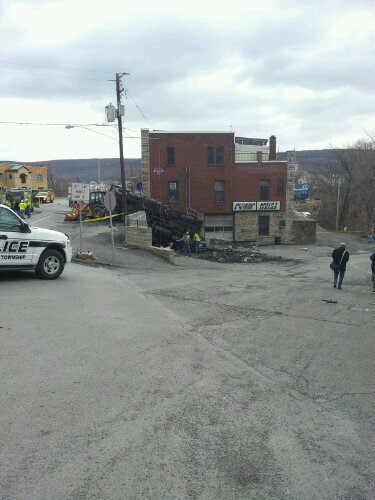 Yesterday was one of the most shocking crashes I’ve seen in awhile: a dump truck sideways after it smashed into a business in Atlas. Luckily, No one was seriously hurt. But it was truly something that made you just….stare. Yesterday, I got to talk with Janet Guthrie, the first female to qualify for the Daytona and Indianapolis 500 races and the previous record holder for the highest start by a woman in the NASCAR sprint cup series. Her record was broken by Danica Patrick Sunday. Guthrie said she was happy to see another female reach success in the male-dominated racing world and wished Patrick the best.